Art is in the eye of the beholder, or at least that's what people tell us! We think anything you create with this body paint, counts as art, as long as you are expressing yourself! So why not make some magic come alive with our White Body Paint? You could paint on a base for clown makeup or even just a smiley face, the possibilities are endless! Of course, you have probably got loads of incredible ideas of your own, so we will just leave what you can do with it to your own imagination! This paint can be used alone, or it can be mixed with our other shades to make many different shades of the same color. With just one tube, you can add a diverse range of colors to your arsenal of creativity. 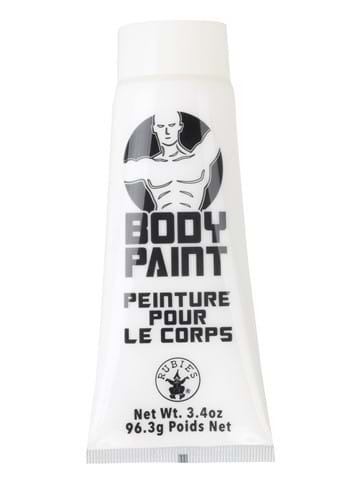 So, order this White Body Paint today, and start painting your blank canvas tomorrow!